Changes in the bespoke tailoring business will bring more sales opportunities and increases the chances of growth in tailoring industry.In this digital world era, people would like to search each and everything over the internet and hoping to buy it from an online tailoring store. Tailors are making their identity by creating a website. Every moment, with the support of technology, tailors are trying to find out some solutions that can easily resolve user end needs without wasting their time, money and without any help. 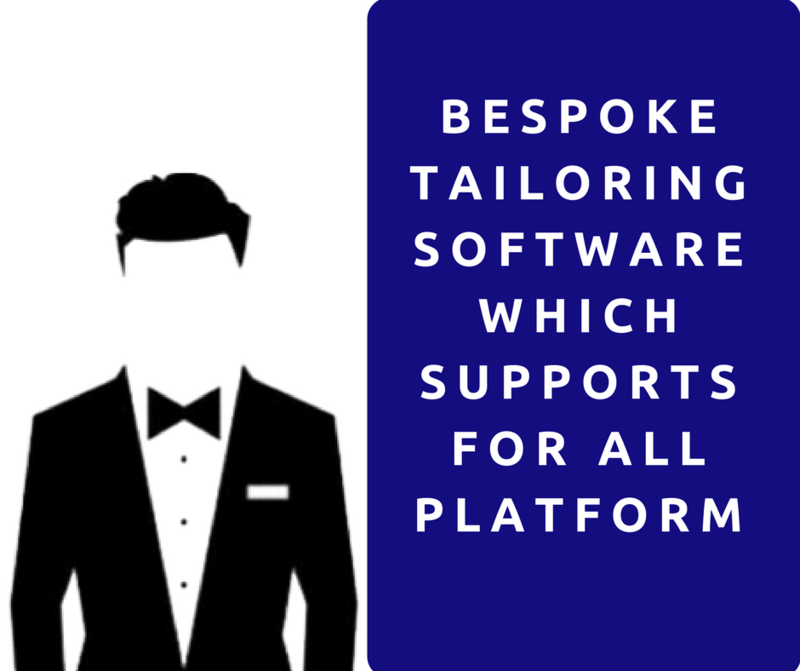 If bespoke tailors want to compromise their users in an online platform? Is it possible in realtime @ affordable price? Fit4bond is a leading service provider of bespoke tailoring software who did some online market research and had came with a great solution for all online tailors or clothing business store owners who are selling bespoke clothes for men's & women's apparels. Bespoke tailors can build an user-friendly e-commerce website with help of bespoke tailoring software. It will not build the site alone even it boosts the sales with marketing addons. Bespoke tailors can integrate an online body measurement module for their users to record their body measurement. Tailors can also direct their users with crisp measurements for their perfect outfit. Bespoke tailors can list their new arrivals, samples on their website.so that users can get an idea about their outfit while they customize it. Bespoke tailors can track their orders & shipping with their backend access. By integrating fit4bond’s bespoke tailoring software, tailors can definitely reduce their manual work. You can deliver the services easily & concurrently.